Within Arm’s Reach could be the name of the next Walking Dead episode, couldn’t it? A perfectly ominous fit for this series so often about hope snatched away. 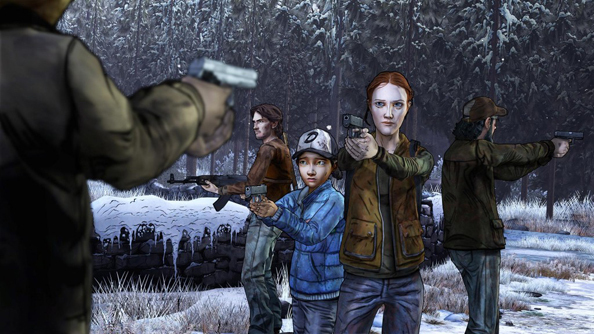 You’ll remember The Walking Dead Season 2: A House Divided drove our Fraser to whisky and cigarettes. In actuality, though, episode four in titled Amid the Ruins – and “within arm’s reach” is simply Telltale’s way of telling us it’ll be on Steam shortly. 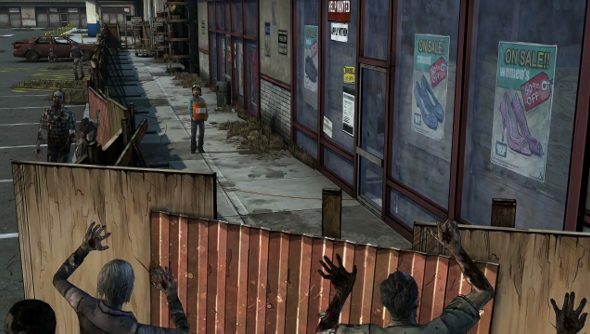 “The Walking Dead Season Two Ep 4 ‘Amid The Ruins’ is within arm’s reach!”, tweeted Telltale on Friday. 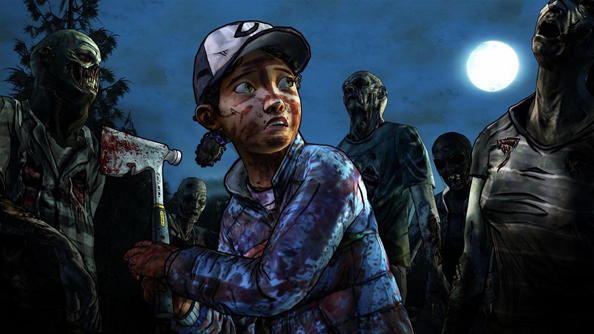 The developers divulged little more in a follow-up message – only that the new episode is “nearly here”, and that fans should “look for more soon”. Amid the Ruins’ actual release date remains as mysterious as its title – but we’re promised more news this coming week. What’s more, Telltale have posted two screenshots from the new episode, which you can contemplate below. The second features one of 400 Days’ more empathetic protagonists, Bonnie. How her experiences there will colour events in the rest of Season 2, one can only imagine. At least until Episode Four arrives, presumably later this month. How have you lot got on with Season 2? Let’s keep the comments spoiler-light, if we can.